← The Sports Archives – 5 NBA Stars Who Get Business Done Off The Court! 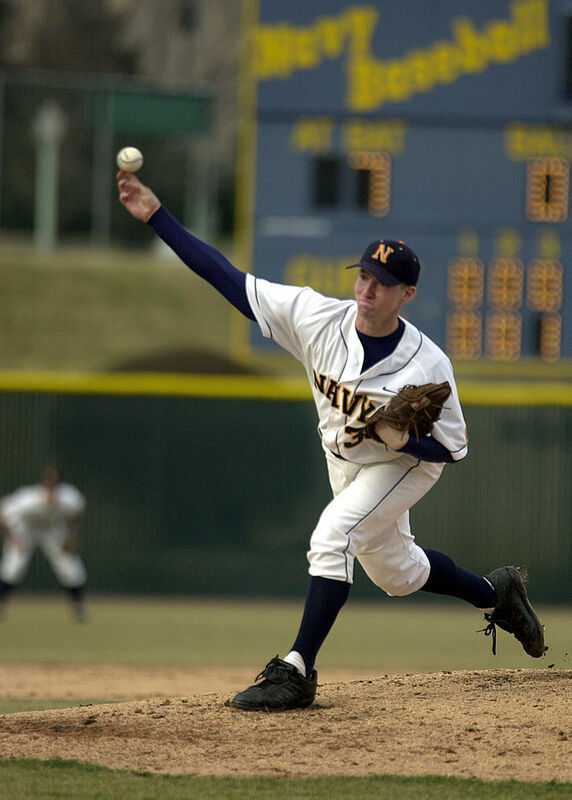 The Sports Archives – The Right Baseball Pitching Mechanics For Improved Pitching Velocity! Understanding right pitching mechanics are important for converting power into pitching velocity. If your pitching velocity is poor then your pitching mechanics will also be bad despite of the fact that you have surplus athletic power. On the other hand, low velocity pitchers face the opposite problem. They have poor athletic power and poor mechanics because of this. Pitching mechanics are crucial to increase pitching velocity. There are various studies that clearly showcase many correlations of certain pitching mechanics to higher pitching velocity. The problem is that most coaches and players are unaware of these correlations and even if they know, they have no idea on how to implement them. So, here are some right baseball pitching mechanics that will help improve your velocity. These principles not only make sense but are based on a more scientific approach. As per many studies and researches, we all know that most pitchers are capable of throwing 5-7 or most 10 mph faster. The key to improve pitching mechanics is to understand that there is no magic bullet and one needs to keep trying. Make sure that the pitcher is functionally strong and capable of keeping his body in tune with the process. Though there are weighted balls, weight training, long toss or many training tools, but none of it works that effective unless you have the stamina and willingness to improve. Sometimes, a pitcher does not have access to a quality training service. Coaches these days, do not follow evidence based methods like video analysis while training and due to lack of this, the output remains zero or bad. So, getting evidence based training can help a pitcher go a long way. Apart from this, one should also adapt professional attitude during competition and practice. In order to maximize pitching velocity, one should learn the correct baseball pitching mechanics. The pitchers must practice with game intensity actions instead of 75-80% effort. Do you know what makes high velocity pitchers better than the average ones? The speed of movement and the better leg drive down the mound. Coaches and trainers these days understand the significance of speed of movement better than ball control and that is good. Better ball control can be achieved by following a high volume of target practice using blocked sets. So, movement speed and the tempo down the mound should be a part of every pitcher training. This will help maximize pitching velocity. Skill – Again, this is a very important thing that all pitchers must master way before working on speed of movement. First, pitchers must understand the sequence of the deliver – the mechanics. If developing good mechanics is something they can’t do on their own, hiring a coach is a good idea. Stabilize – Producing explosive movements is good, but the pitcher must also know how to control body movements over their front and back legs in order to transfer forces better. By following some basic principles, pitchers can definitely improve their ability to add more velocity. Top 5 Louisville Slugger Baseball Bats! This entry was posted in Baseball and tagged Baseball Blogs, baseball training tips, better control pitching, high velocity pitching, improve pitching, pitching mechanics, pitching motion, pitching performance, pitching velocity, power pitching, sports and training, Sports Archives, Sports Blogs. Bookmark the permalink.